Well, it's the final night of RetroChallenge, so it's time for a closing post. As I'd expected, I didn't get anywhere close completing my goals, with lack of time being the age-old excuse. However, it was still a very productive project and I plan to keep pressing on and making semi-regular posts. Hopefully I can keep the momentum going even through RC is over for another 6 months. Although I didn't get a wiki up and running to store the information I was gathering, it's all up on this blog - so that's a start as far as making it available is concerned. Welcome to the second part of my adventures with this slightly unusual hard disk interface. The more I dig, the more questions I raise - it's certainly good for raising the overall feeling of confusion. I think overall I'm making progress, but I'm still a long way away from even considering disk emulation (which was the original aim). 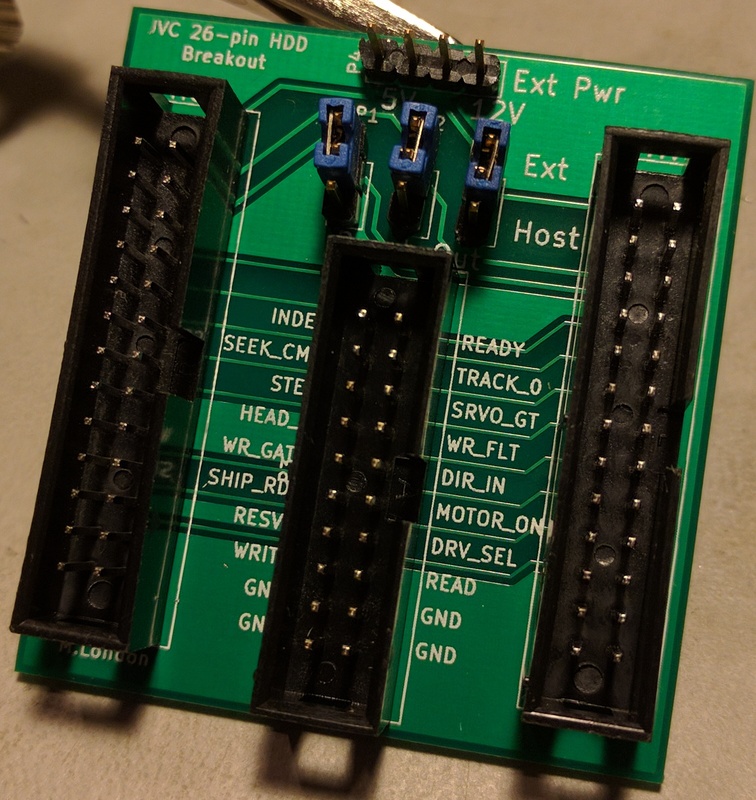 As a quick recap of my previous posts - I designed a breakout board which brings the 16 lines of the 26-pin interface that aren't power or ground out to a pin header, along with support for supplying external power to the drive. I also got a power supply working so the laptop can run under its own steam, with both hard disk and floppy drive working correctly. 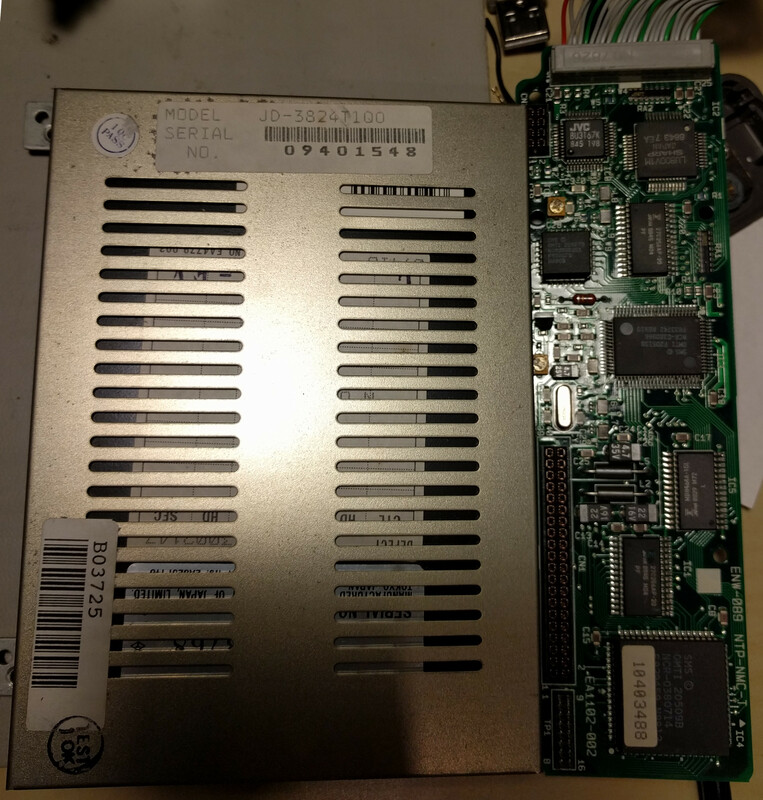 I've got datasheets for most of the chips on the controller, and they look to be a standard ST506/412 RLL chipset, although with a few subtle differences and a mystery JVC chip - I've been reading through those and generally learning more about MFM than is probably necessary in 2017, but hey, isn't that what this hobby is all about? Well, I meant to write this up at the weekend, but that didn't happen. Better late than never - it's time for a half-time round-up, or perhaps a review of quite how much has been added on to my to-do list for this project. It really does seem to be one of those things where it appears complicated at first, then you get into it, and discover there's a significant number of smaller tasks you hadn't thought of to begin with. Despite the mamoth amount of work outstanding, it's actually been a pretty productive first half of the challenge, and I'm certainly enjoying it. Power supplies are probably something we all take for granted. Pretty much everyone knows that if you plug an electronic device into the power outlet on the wall, there's a thing called a power supply that somehow converts the mains voltage to something lower (and safer). I suspect most people reading this post know at least a little more than that, maybe something about transformers. Perhaps like me, you're familiar with unregulated DC supplies (step down the AC voltage with a transformer, rectify it with some diodes, then smooth it with some big capacitors) and linear regulators (take an unregulated DC voltage and essentially dump the excess above the preset output voltage as heat), with a vague awareness that Switch Mode Power Supplies are far more common these days, and much more efficient. My V86P did not come with a PSU - this makes things all sorts of interesting. Whilst 8.5V isn't hard to get from a bench supply, it's not a particularly common voltage for off the shelf PSUs, especially not at 4A (which is what the original unit is rated for). 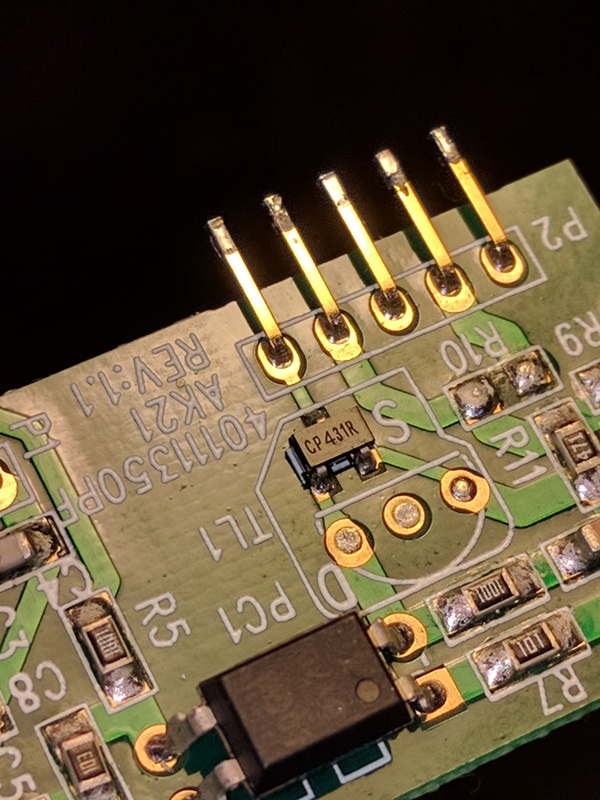 To top things off, I've suspected for a while that a good chunk of the NiCd charging circuitry is inside the PSU, rather than than the laptop itself, but precisely how much I didn't know. I started with a few simple tests with an ohmmeter between the various power input pins, and was able to confirm that two pins on the 6-pin PSU connector are connected to Gnd, two pins are connected together (I know from the actsirius1.co.uk site that these are the main 8.5V in), the pin immediately above these connects directly through to the positive pin of the NiCd battery pack, and the last pin is an unknown. 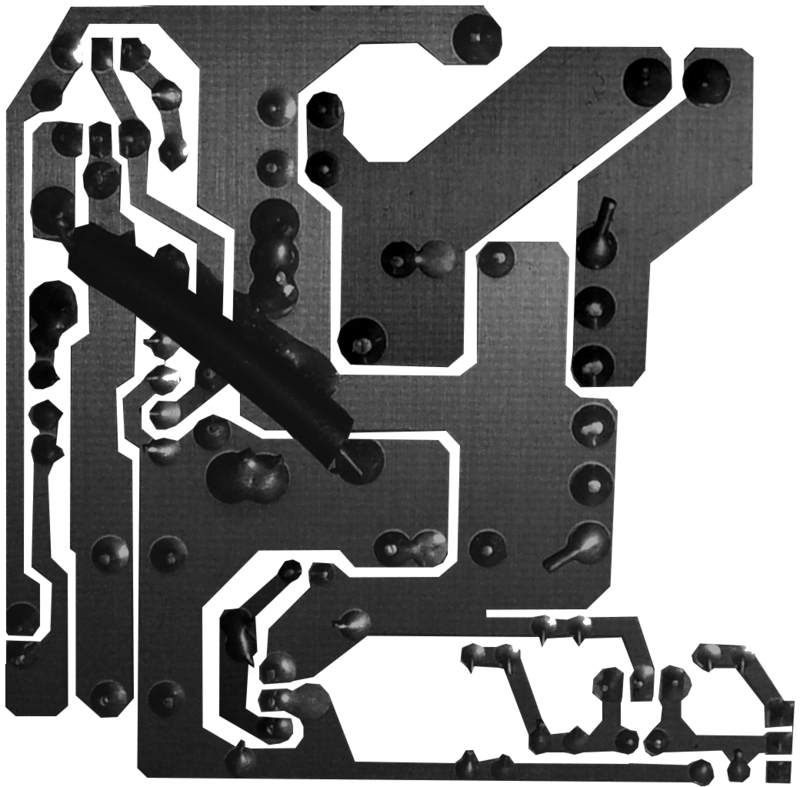 The PSU connector is located on a separate PCB under the motherboard, inside a metal housing that makes up half of the battery compartment. A short cable protrudes from this housing which connects to a 6-pin header on the motherboard, and a pin just above the power switch. There's also a separate wire that goes to a ring loop which goes through one of the motherboard screws - presumably chassis ground. As I've mentioned in a previous post, my V86P is the higher-spec model containing a 20MB hard disk. Back in the mid to late 1980s, IDE was still relatively new and most systems were still using ST-506 interface drives, albeit using RLL rather than MFM to increase data rate and capacity. For example, I remember the Viglen Vig II 16MHz 286 we bought as our family PC back in '88(or so) had a 40MB RLL drive. Laptop form-factor systems were also relatively recent, with the floppy-based Toshiba T1100 being released in 1985 and the hard-disk enabled T1200 in 1987. Obiviously desktop drives of the era weren't ideally suited to laptop use, at that time 5.25" half-height was the dominant form-factor. The ST-506 interface also required two separate cables connecting the drive to the controller: a 34-pin control cable on which drives could be daisychained, and a 20-pin data cable from each drive directly back to the controller. These connectors alone take up almost 3.5" of space along the edge of the HDD logic board, and that still leaves power, which makes developing an alternate interface fairly logical.